1) Low Back Injuries: These account for approximately 30% of all golf injuries. Contributing factors include poor posture, core weakness, and/or poor hip and thoracic spine flexibility. This directs the force of your swing to the lower back, excessively stressing the joints and soft tissues which results in injury. 2) Elbow Injuries: Golfers experience problems on the inside (golfer’s elbow) and outside (tennis elbow) of the elbow because of the repeated ground reaction force during an 18 hole game. Poor technique and overtraining increase the risk of injury. 3) Golfer’s Shoulder: Typically the lead shoulder is affected, especially when the golfer has pre-existing shoulder problems or a lack of shoulder flexibility and muscle control. The repeated force of the swing can damage the structures of the shoulder. 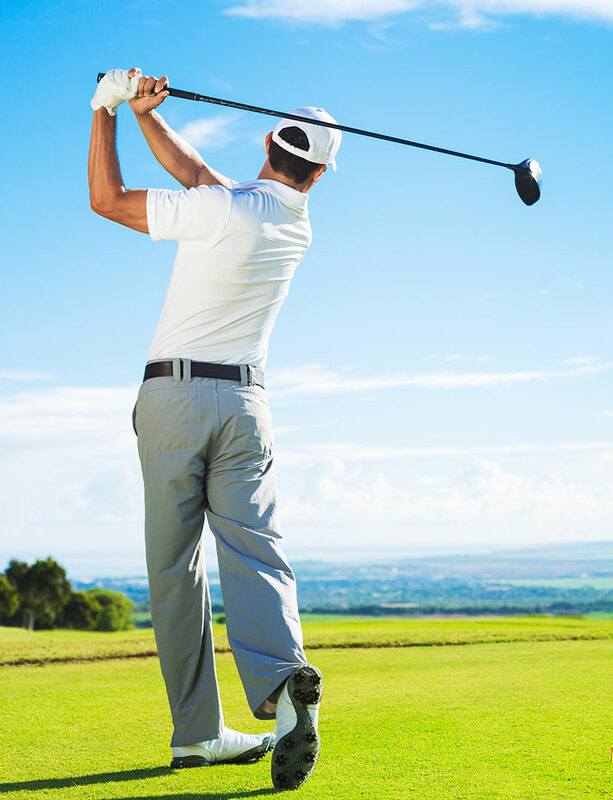 Your Physiotherapists at Keystone Physiotherapy are highly experienced in working with golfers to reduce pain and speed recovery. We identify problem areas and develop a structured exercise program to help you return to peak form. We offer early morning and evening appointments, allowing you to work around busy schedules. Call today to improve your game!